Over 2,000 families ask us for housing help each year. You can help them — Build Hope. There are a lot of us living in King County. On the bright side, that means an abundance of caring people wanting a spot to volunteer! At the same time, it means very high housing & construction costs. Individuals & teams committed to making a dent in the housing crisis have the chance to Build Hope. Building materials and supervision – funded by you! To participate in Build Hope for your volunteer day, email volunteer@habitatskc.org. Plan for your contribution. You can pool individual donations, organize a fundraiser, or ask us about crowdfunding. Stumped? Let us know. We’ve got ideas for fundraisers to fit every group’s needs! Schedule with us. Check out the scheduling options below, and let us know your preferred timeframe. Build Hope members can reserve up to 3 months in advance. When you’re ready to schedule a great community experience, email volunteer@habitatskc.org! 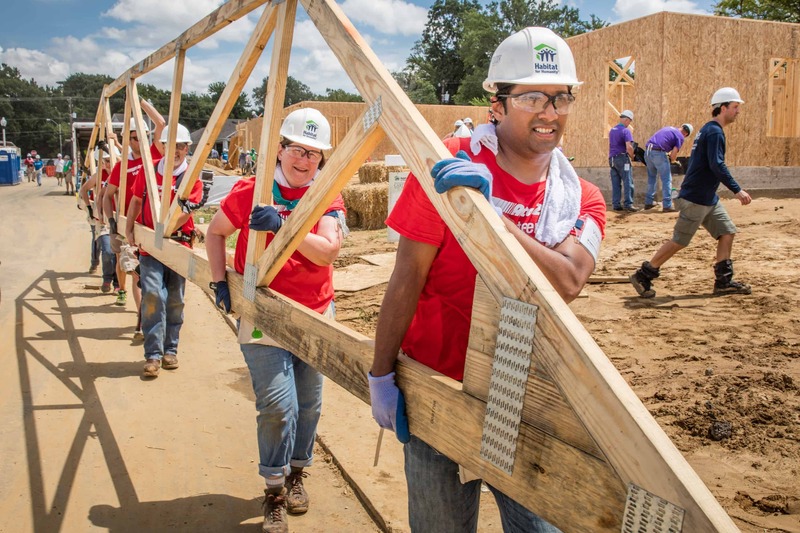 * Corporate teams join Build Hope to help their community, not for recognition. If you’d like to publicize your support of Habitat, you may want to consider Sponsorship or our Team Builder program.